While we certainly specialize in the buying and selling of dental practices, we are much more than a brokerage firm. We are mentors and advisors who provide valuable insight well in advance of any transaction taking place. It is our mission to serve you expertly and consistently – to the best of our ability in the hopes that you come to see us as your single-source solution throughout each phase of your dental practice career. 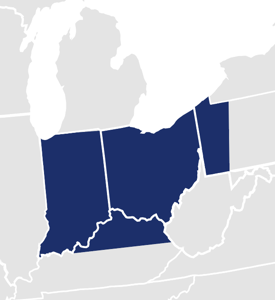 PMA Practice Transitions currently serves dental professionals throughout Indiana, Kentucky, Ohio and Pennsylvania and growing.